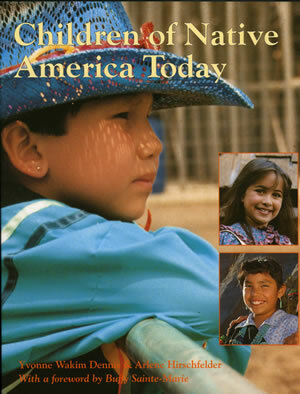 The students, teachers and staff at the Cradleboard Teaching Project would like to thank Shakti for Children Inc., the Global Fund for Children, and Charlesbridge Publishing Inc., as well as the authors, Yvonne Wakim Dennis and Arlene Hirschfelder, the contributing photographers, and the Native American communities profiled in Children of Native America Today for allowing us to use portions of their content in these online web pages. Ki chi migwetch! You might notice that layouts for the online interactive version of Children of Native America Today vary somewhat from the book to accommodate web use. If you would like to see PDFs of the original book pages, click here. The Cradleboard Teaching Project has added links to those originally found in Children of Native America Today and Activity and Resource Guide for which the authors and publishers of the books are not responsible.